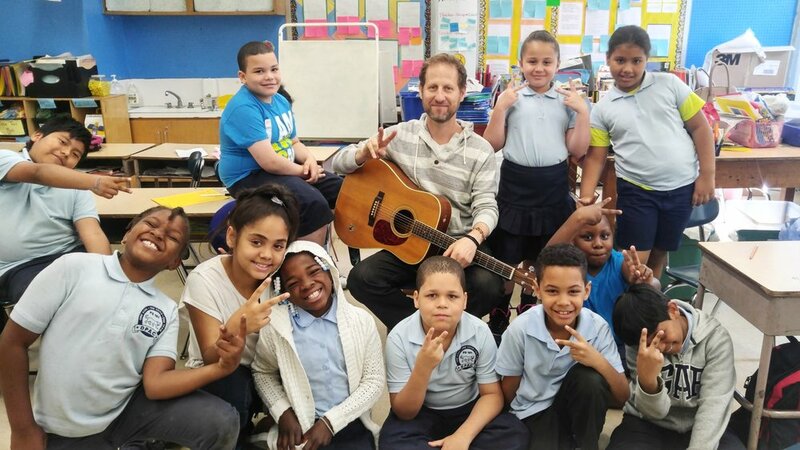 Creative Music Program’s Executive Director, Seth Ginsberg, has 20 years of experience as a teaching artist, arts curriculum designer, and professional musician in the New York City area. He founded Creative Music Programs in 2008 to further develop his philosophy and practice of working personally and closely with schools and organizations to build music and arts programs which are best suited to the children and the culture of specific school communities. Apart from his role as Executive Director, Seth remains an active teaching artist focusing on American folk music and history, recorder, percussion, Jewish music, and folk music from around the world. Along with CMP’s work as an NYCDOE arts vendor, Seth is a music consultant and workshop designer for the Metropolitan Museum of Art, Music Director for Williamsburg Northside Schools Lower School, and co-owner of Creative Arts and Music Programs, a performing arts day camp in Williamsburg, Brooklyn. He lives in Brooklyn with his wife and two sons who proudly attend NYC public schools.